I recently chronicled the new Crafting system in Vega Conflict. Having crafted merrily away for a couple of weeks, I have some more information on the Crafting system, an explanation of the Fusion screen, Some criticisms on what Kixeye did wrong, and pointers to the things that they need to do to fix them. Faction: There are currently three factions in the game: Rebel, Vega, and VSec. A fourth faction — the Iron Star Company — is rumored to be coming soon. Tier: Level of the ship. This is confusing, but the game does a good job of showing this via color-coding. Tier 1 Hulls (Harrier/Genesis/Longbow/Rancor) have White Text/Black Background. They can be upgraded to Mark II. Tier 2 “Uncommon” Hulls (Talon/Exodus/Broadsword/Venom) have Green Text/Green Background. They can be upgraded to Mark III. Tier 3 “Rare” Hulls (Nighthawk/Revelation/Trident/Fury) have Blue Text & Background. They can be upgraded to Mark IV. Tier 4 “Epic” Hulls (Apocrypha/Eagle etc) Have Purple Text & Background. They can be upgraded to Mark V.
Research the upgrade in the ship lab (one-time per Faction/Tier/Type/Mark). Collect One Pattern. Patterns are the most specific items of all. A Pattern is specific to a Faction/Tier/Type/Mark. Collect or create enough Cores. A core is specific to a Faction/Tier/Type. Collect enough parts. A parts box contains a random number of parts. Like Cores, parts are specific to Faction/Tier/Type. Collect enough armaments. Armaments are found in relatively large numbers and are specific to a Faction. Patterns and parts, in particular are more difficult to acquire than the others, as cores can be synthesized and armaments can be gained from any ships of that faction. I have finally succeeded in making sense of the fusion screen. Each entry has two icons. The right icon is the source (a pattern or a core. the pattern is shown by a picture of a ship). Remember that a Talon Mk II pattern and a Talon Mk III pattern are not the same, which explains what looks like duplicate entries. Any pattern can be converted into an equivalent core. This takes time and resources. Four cores can be converted into one core of a higher tier by a process known as “Fusion”. This is instantaneous. It is now necessary to destroy tiny fleets to get Tier-1 boxes. Want to upgrade your Rancor Battleships? Congratulations: you have to defeat dozens of Level 10-17 fleets. Most advanced players will have scrapped their old, small ships, and if all you have on hand are Level 30+ fleets, this is about as tedious as swatting flies – and about as much fun. At present, the highest available upgrades are not as good as the Black Market “Mk II” (now “Enhanced”) editions. The only advantage the the new ships have is resistance tech. It is very easy to end up collecting a huge pile of junk parts that you don’t want and/or cannot use. There are several upgrade really stupid paths that cannot be unlocked without many unnecessary steps. For instance, I have unlocked and built a Ragnarok Carrier (event), but to upgrade it I have to first unlock the Midgard Carrier — which is a Blueprint Hull — and then Unlock the Valhalla Carrier — which is an event hull that I do not have. So in order to upgrade my Ragnarok Carrier, I have to unlock two other Carriers I have no intention of building! This amounts to an awful lot of “grinding”, and because of this, I am no longer actively crafting. By that I mean that I am no longer seeking out fleets to attack for specific boxes. For instance, upgrading a Dread Battleship from Mark I to Mark II requires a hell of a lot of “grinding” against dozens of high-level Vega fleets in order to amass the parts that I require, while simultaneously collecting a bunch of parts for ships that I don’t have. Then I have to do it all again to upgrade from Mark II to Mark III. Too much work. This brings me to my single biggest criticism of the crafting system: it’s too damn complicated. Before this, you would do Daily Missions to get Blood Amber, and you would trade that Blood Amber for upgrade credits. You apply that to your ships, and voila! Instant Mk II… er… Enhanced version. Simple. 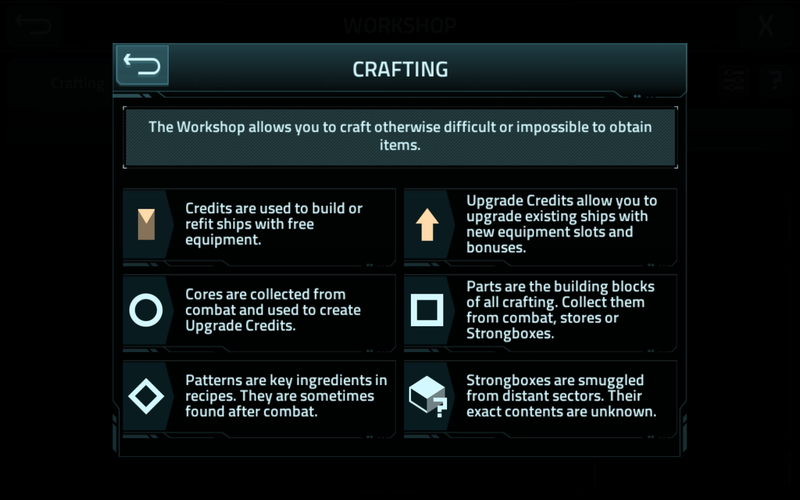 Now, you have to Build a workshop, research the hull upgrade, then grind/fuse away to collect the four items required in sufficient quantities, then you craft the upgrade credit, then finally apply the upgrade credit to a ship… all for a ship that has less capabilities than the old Mk II version. Not impressed. Reduce the amount of items necessary for an upgrade. My advice is to eliminate “Parts” entirely. Need a mechanism to quickly open *all* boxes. Please? 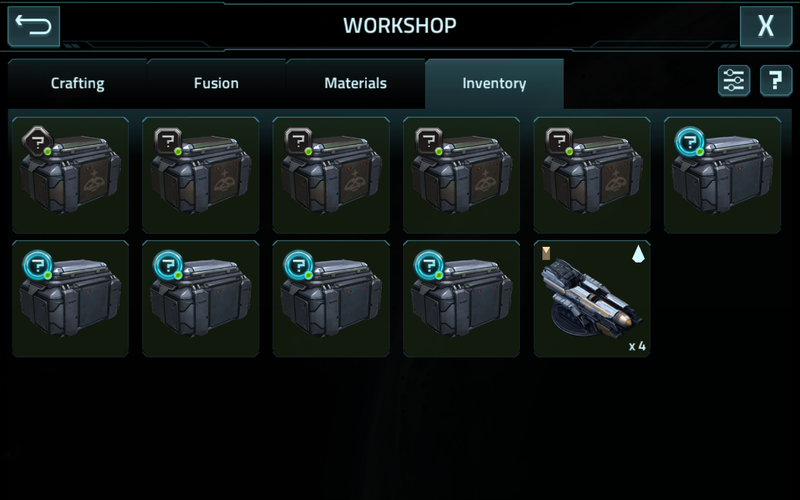 It would be nice if we had a mechanism to upgrade/downgrade/trade unwanted parts to get something that you may actually want. 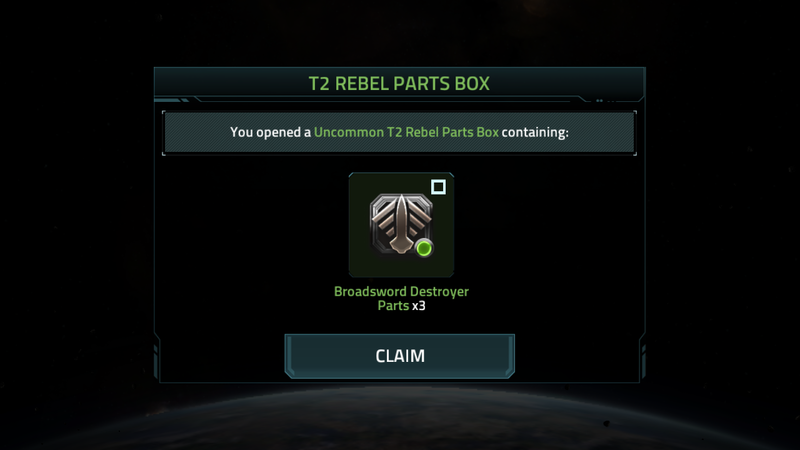 Finding Tier-I tech in Tier-4 boxes is maddening. It is bad enough to fight and die for a chance to get a box; opening the box to find low-level tech is an insult. Fix this! As they are wont to do from time to time, Microsoft made a change to its Hotmail web email service today. As part of their never-ending quest to make all of their products look like all of their other products, they completely overhauled the UI. Again. This would not be an issue if not for the fact that this change also broke all Android apps that access Hotmail, Including Microsoft’s own Hotmail App. This is hardly surprising, the app has been deprecated for over a year. In 2013 they released a version that claimed to have “minor bug fixes” but broke the application entirely, replacing it with one button exhorting the user to “upgrade”. Only the upgrade was a completely different application — the Outlook app — which starts its life by staging a a blatant and brazen attempt to scarf all of your contact data. This ‘upgrade” is different. More than just cosmetic, it replaces the web UI — yet again — with something that looks awful, and is slow and prone to barfing (throwing random errors) at every opportunity. It also finally puts a final nail in the coffin of the long-deprecated-but-still-functional Hotmail App, along with every other application that checks your email. The Workshop is built by the Bridge. Start there. Construction of a Level-I workshop is immediate. 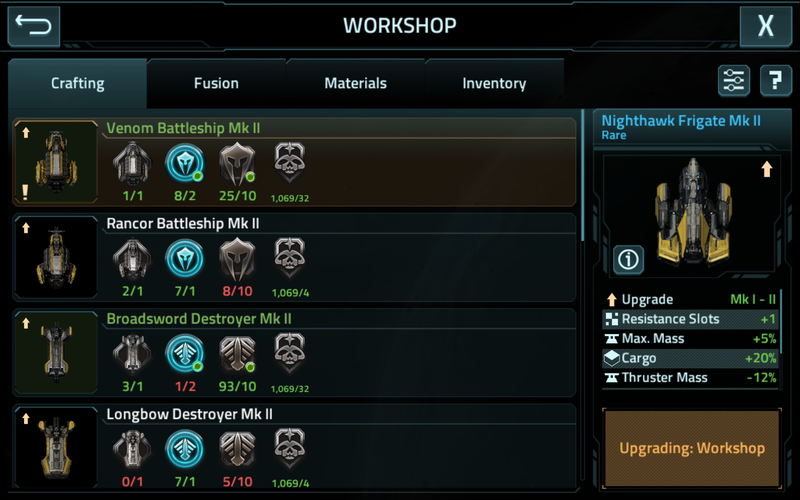 Upgrade your workshop as quickly as you can (maximum level is 8), but remember that you cannot do any crafting while the workshop is being upgraded. While this is going on, head on over to the Ship Lab and start researching Hull Upgrades. The tech tree is quite rigid, and you have to research the earlier upgrades before you can research the later ones. This research uses Mineral Ore and Antimatter. New fleets have appeared. These fleets are colored in Orange (this explained why Vega Elite fleets recently changed color from Orange to Red), and are found both in-planet and sector. These fleets carry cargo, but typically yield less than half as much as their equivalent VEGA Cargo fleets. There are two types of fleets: Rebel (level 10-35, drops parts for Miner Rebellion Hulls) and Vega (level 37-45, drops parts for Vega Hulls). Apparently there are also VSec fleets (level 50+) and Iron Star Company fleets (To Be Announced..!). Skirmisher Raider fleets(levels 15, 20, 25, 30?, 35 and 40) consist of Cruisers and use Beam weapons. Sharpshooter Artillery fleets (levels 10, 30, 37 and 53) consist of Destroyers and use Beam weapons. Battalion fleets (levels 17 and 27, 37 and 45) consist of Battleships and use Projectile weapons. Levels 10, 13, 15 and 17 yield T1 boxes. Levels 20, 23, 25, 27 Yield T2 boxes. Levels 30, 33 and 35 yield T3 boxes. Levels 37 and up yield T4 boxes. Note that Level 20, 30 and 37 fleets do not drop cores! It is quite easy to auto-farm these fleets; for best results use the appropriately-shielded fleets – I recommend wedge formation with a highly-shielded ship in front. For farming Planetary Battalion 27s I use an Apocrypha/Revelation Cruiser (with 2xDeflector V and Gladius Drivers), and five Rancor Battleships (Deflector IV + 3xHydra Missiles). Strongbox drops are very common. Initially it seems to be in excess of 75%. Sometimes one fleet will drop two strongboxes. You do not need to open strongboxes immediately. 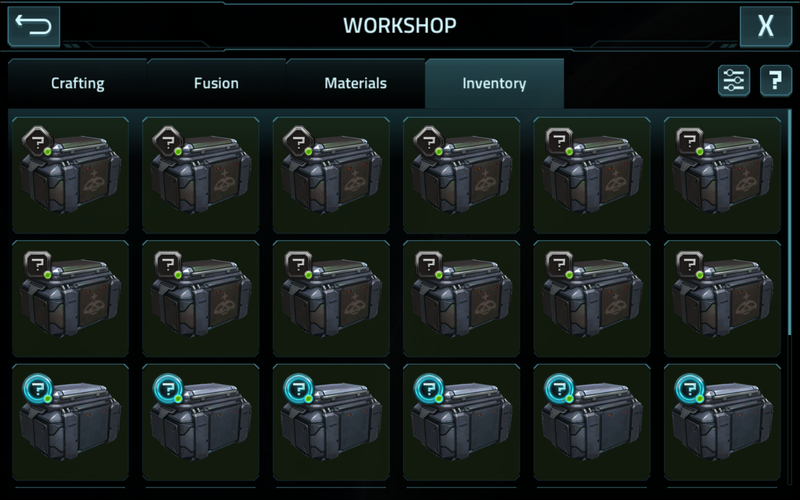 Unopened strongboxes are found in the “inventory” tab of the workshop screen. Strongboxes contain Patterns, Ship Parts or Cores. Once you have researched a particular ship and gathered the pieces required (one pattern, one core, multiple parts and multiple armaments), you can craft an upgrade credit that can be used to upgrade a ship. Each credit only gives a one-level upgrade, i.e., the Exodus Cruiser Mk III Upgrade Credit requires an Exodus Cruiser Mk II, and cannot be used on anything else. Tier-1 ships (Harrier/Genesis/Longbow/Rancor) can only be upgraded to Mark II. Tier-2 “Uncommon” ships (Talon/Exodus/Broadsword/Venom) can be upgraded up to Mark III. Tier-3 “Rare” ships (Nighthawk/Revelation/Trident/Fury) can be upgraded as far as Mark IV. Tier 4 “Epic” ships (Dread/Apocrypha/Carriers etc) can be upgraded all the way to Mk V.
Existing “Mk II” ships upgraded by the Black Market are now renamed “Enhanced”, and are TOTALLY DIFFERENT to the new Mk II/III/IV/V ships. It is expected that these “enhanced” ships will later be harmonized with the new upgrades in some way. It is not known how this change is going to effect the black market. It just came to my attention that Verizon has decided to raise the price of their Grandfathered Unlimited Data Plans by $20 per month (from $30 to $50). This is of particular interest to me, as I am one of those few brave souls still on that plan, which was last made available to Verizon Customers in 2011. Now I am not a huge data hog, my monthly usage once maxed out at 16GB, but generally resides between 2 and 5GB. According to Verizon staffers, that is modest for an unlimited user. I’m not mad at Verizon. I am out of contract, and they can do whatever they please. But the fact is that Big Red has eagerly embraced the brave new world of pay-for-data, and wants us to all be on tiered capped data plans with nice fat overage fees, on the very sensible grounds that that’s where the money is. But for those of us who are still on unlimited plans because we love the convenience of not having to count megabytes and gigabytes, this looks a lot like a slap in the face. Last year, they had threatened to throttle unlimited data usage, then quietly backed away from it when the FCC determined that throttled unlimited was not really unlimited. I would not have had a problem with throttling if the bar were fairly high (say 10GB), but the fact is that a small number of bandwidth hogs may have been costing Verizon money. So in many ways this really needs to be blamed on the FCC. So Verizon were caught between a rock (unlimited customers using massive amounts of data) and a hard place (can’t throttle big data users). This is doubly ironic to me — just a month ago I cut by bill from $80 to $60 a month (by cutting my voice minutes from 700 to 450), and her we are with Verizon slapping the $20 right back on again. Stay with Big Red, pay the extra $20/month and turn my phone into a lean, mean downloading machine in an attempt to get my pound of flesh out of Verizon. Streaming movies from my home Plex media server over 4G is a neat way to entertain myself while pulling Gigabytes of data through “The Best Network” as Verizon modestly likes to refer to themselves. After all, Streaming Video features heavily in Verizon’s advertising, so it must be OK, right? Say “Sayonara Verizon”, end a business relationship that started in the last century, and take my business elsewhere. Page Plus (unlimited calls, texts and 5GB of 4G data per month for $55) is currently the front runner — and they use Verizon’s 4G LTE network, though it is bandwidth throttled to 5MBps as opposed to 20-40 for Verizon customers. I have about a month to make up my mind. Time will tell.